92-year-old politician and former President George H.W. 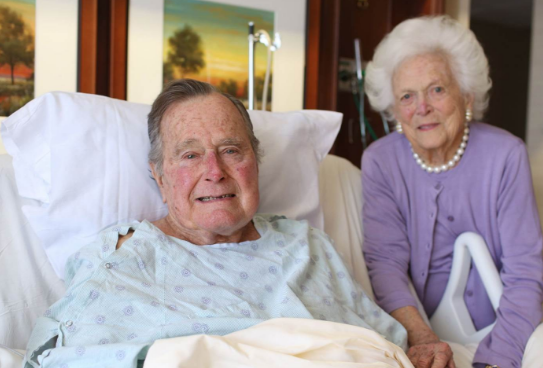 Bush was re-admitted to a Houston hospital Fridayover what turned out to be pneumonia. His spokesman, Jim McGrath, confirmed the return to the hospital in a statement adding that Bush was taken to the hospital due to a cough that prevented him from sleeping. The cough turned out to be due to pneumonia, which has been treated and resolved. Concerns continue to grow about his health as he was last admitted to Houston Methodist Hospital in January to treat "an acute respiratory problem stemming from pneumonia" before being released from the hospital on January 30, 2017.